Oia village is located on the north part of Santorini island. It is the most famous village of Santorini all over the world, thanks to its picturesque style as well as to the view it offers to the caldera and the volcano. 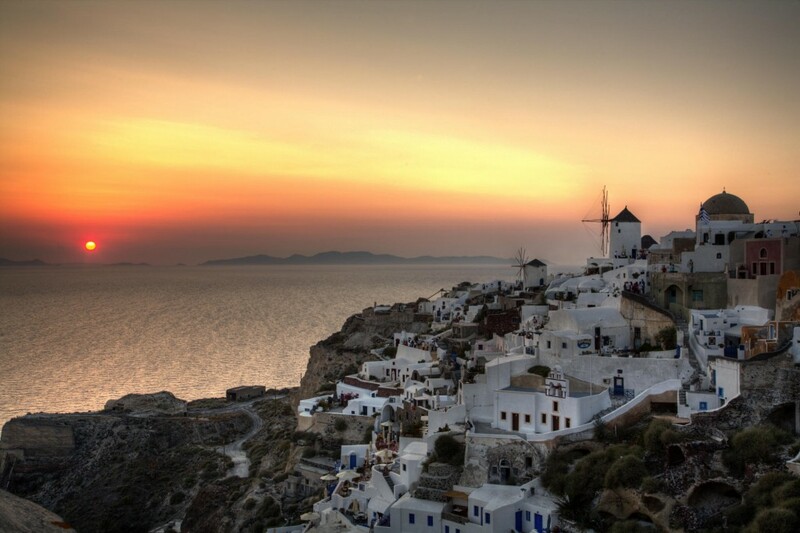 Far from that, Oia is a historical village that was strongly connected with the maritime life of the Santorinians. to begin with, Oia, thanks to its port, was involved with seafaring and this resulted in an amazing development as far as this specific field is concerned. This rise started in late eighteenth century and lasted until the mid-twentieth century, reaching its peak in 1880s. According to the historical sources, the Greek fleet consisted of 2,500 sailing vessels. A large number of them, 170, belonged to Santorini, while seventy of these Santorinian vessels were large overseas sailing brigs. Oian ships crossed the seas transporting merchandise from and to the Western Europe. They connected the small port of Oia with the cities of the Mediterranean Sea, the Black, the White and the Red Sea as well as with the Atlantic Ocean, beyond the Gibraltar Straits. The maritime daily life of Oia village is obvious even thanks to the architectural style of it. The “hyposkafa”, cave houses, were nestled in the rocks of the cliffs and one could see only their arched entrance. In this way, their habitants, who were sailors, managed to hide themselves from pirates. Some meters higher, on the top of the rim, the captains and the ship owners had built their mansions which were bigger and more comfortable than the cave houses. Oia was inhabited by seafarers and shipwrights who repaired the ships when needed. Undoubtedly, it played a very important role in the shipping of Greece and it was widely famous for it in the past. Nowadays, it is a village that have been damaged seriously by the earthquake, yet rebuilt in absolute respect to its traditional style. So, it is a picturesque settlement where the visitor can admire the old cave houses and the mansions, the blue-domed churches and the white washed modern houses that make Oia unique and amazingly pretty. A morning stroll among its lanes, before the commercial shops that impact on the harmonic beauty of the settlement open their doors and expose their colorful merchandise on the pavement, is highly recommended. This will let the visitor enjoy the true beauty of Oia as well as a magnificent caldera view, without being disturbed by the crowd that arrives there daily.